This stunning glazed display cabinet is part of our Stanford Range. Classically designed furniture that is perfect for the living room or hallway to display ornament, hold books or show off your little treasures. 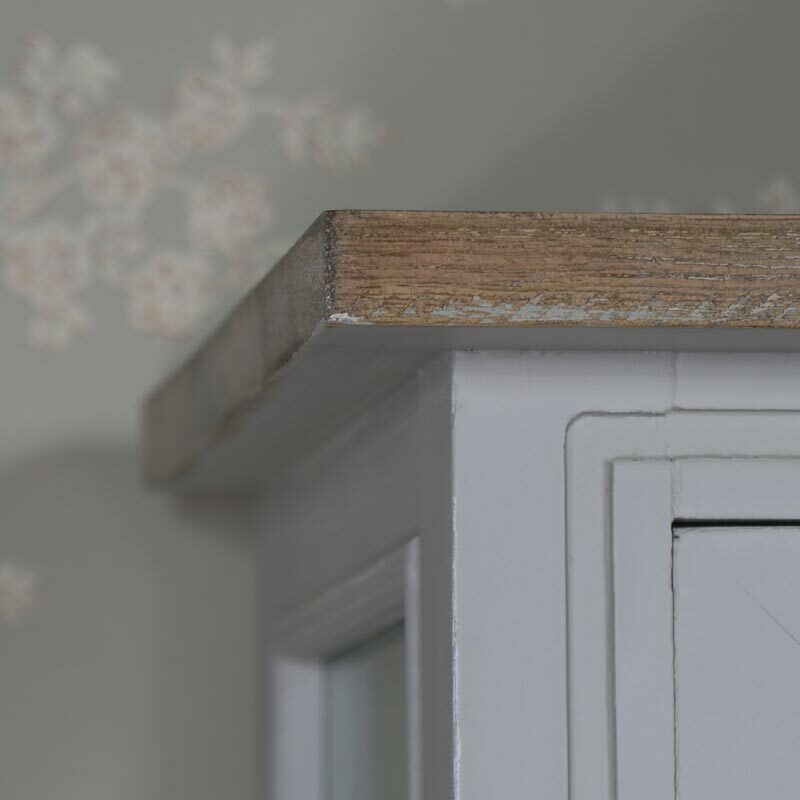 Clean, clear lines help to create a vintage elgant look that will fit in with most decors. Complete with 2 drawers at the bottom for additional storage. Each drawer and door is fronted with a round, burnished brass drawer knob. 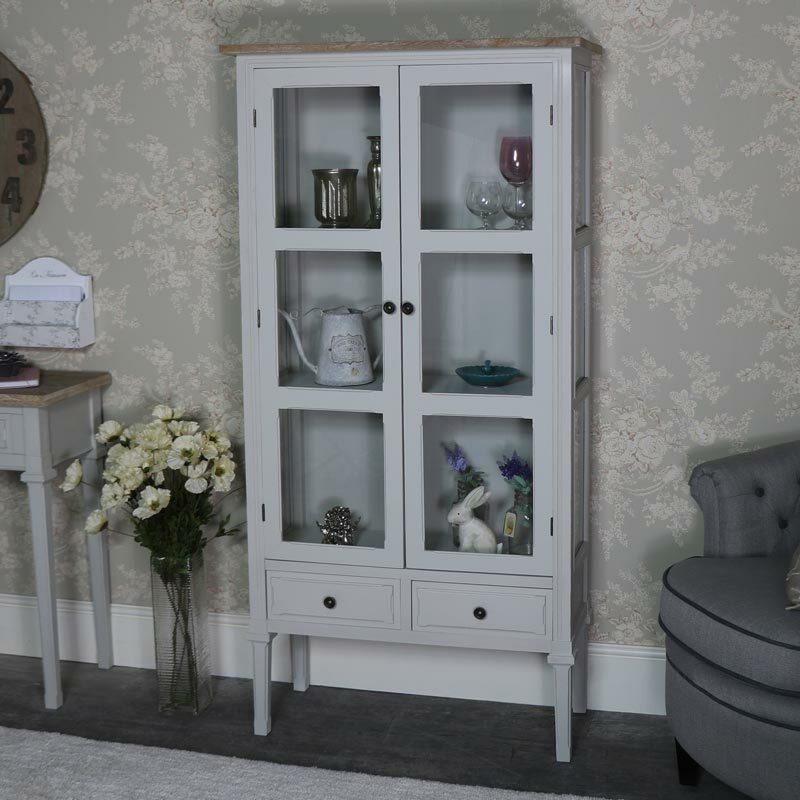 With more furniture for your living room, hallway and bedroom available in our Stanford Range. Great for creating just the look you want in your home. This stunning glazed display cabinet is part of our Stanford Range. Classically designed furniture that is perfect for the living room or hallway to display ornament, hold books or show off your little treasures. Clean, clear lines help to create a vintage elgant look that will fit in with most decors. Complete with 2 drawers at the bottom for additional storage. 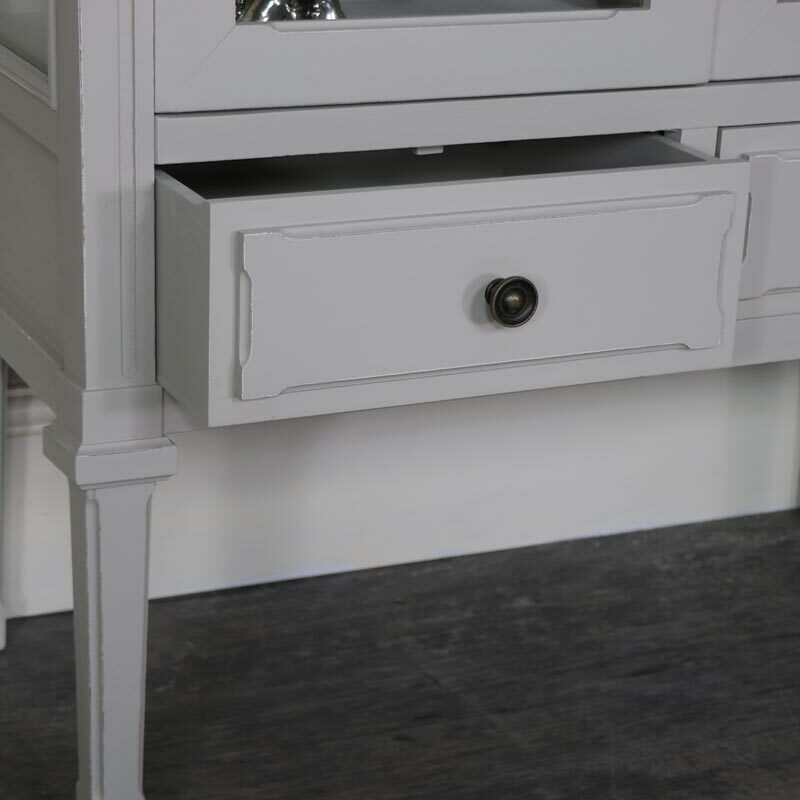 Each drawer and door is fronted with a round, burnished brass drawer knob. 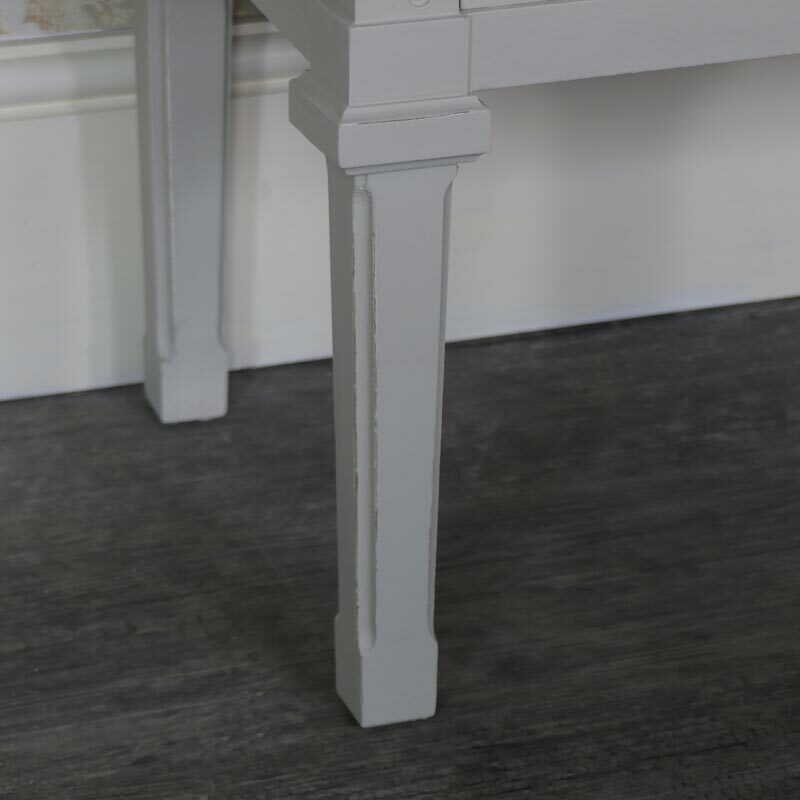 With more furniture for your living room, hallway and bedroom available in our Stanford Range. Great for creating just the look you want in your home. Made from wood and painted in a grey colour. The drawers measure (width x height x depth). 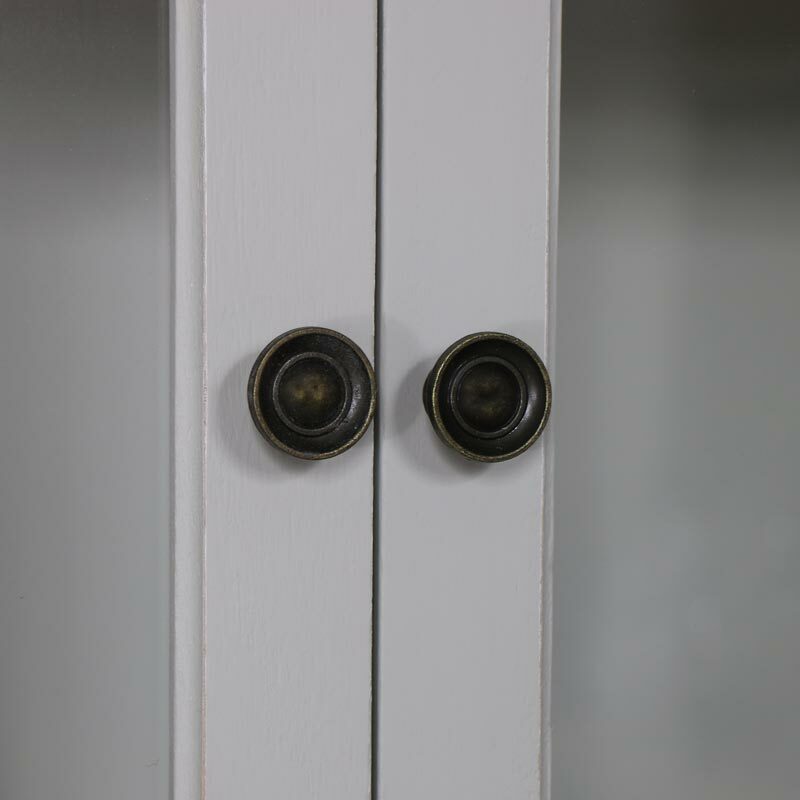 Round brass drawer knobs in a burnished finish help to create a slightly rustic finish. This cabinet comes fully assembled. No, the Stanford Range glazed display cabinet comes fully assembled. The colour is a light to mid grey.